Leafly (November 7, 2018) California cannabis promises to become more available and normalized thanks to the 2018 midterm elections in the Golden State. Voters on Tuesday handed out victories to longtime cannabis allies such as Gov.-elect Gavin Newsom, as well as new legalization supporter Sen. Diane Feinstein. Results in races for House seats in California proved mixed. Voters kicked out staunch cannabis critics like Republican Rep. Steven Knight. But congressional cannabis champion Rep. Dana Rohrabacher also appears to have lost his seat in an extremely close race. Marijuana Business Daily (November 8, 2018) Los Angeles has long been touted as among the biggest municipal markets in the world for the cannabis industry. However, it remains in a “hurry-up-and-wait” mode, which is frustrating hundreds of businesses waiting to tap the city’s potential for commercial marijuana rollouts. In short, MJ business owners are facing a licensing quagmire. Mercury News (November 7, 2018) A controversial Half Moon Bay cannabis measure on Tuesday’s ballot is holding on to a narrow lead, suggesting that the town’s three greenhouse farmers will be allowed grow legal marijuana sprouts in “nurseries” – but residents have rejected other measures that would have expanded cultivation and sales in the traditional coastal town. The measure – ahead by only 39 votes in a 51.2 to 48.8 percent tally, would help farmers like 72-year-old “Farmer John” Muller, former mayor and longtime pumpkin farmer, who seeks to rent out his dilapidated greenhouses as a place for the baby plants. The New York Times (November 7, 2018) President Trump fired Attorney General Jeff Sessions on Wednesday, replacing him with a loyalist who has echoed the president’s complaints about the special counsel investigation into Russia’s election interference and will now take charge of the inquiry. Mr. Sessions delivered his resignation letter to the White House at the request of the president, who tapped Matthew G. Whitaker, Mr. Sessions’s chief of staff, as acting attorney general, raising questions about the future of the inquiry led by the special counsel, Robert S. Mueller III. PJ Media (November 7, 2018) Leaders of the burgeoning cannabis industry on Wednesday applauded the departure of Attorney General Jeff Session from the Department of Justice, saying Sessions has hindered the growth of the billion-dollar industry. Derek Peterson, CEO of Terra Tech, a cannabis-focused agriculture company, said in a press release that Sessions “has been an impediment to the growth of the regulated cannabis industry. Indeed, cannabis stocks rallied on Wednesday after the announcement that Sessions would be departing the DOJ. 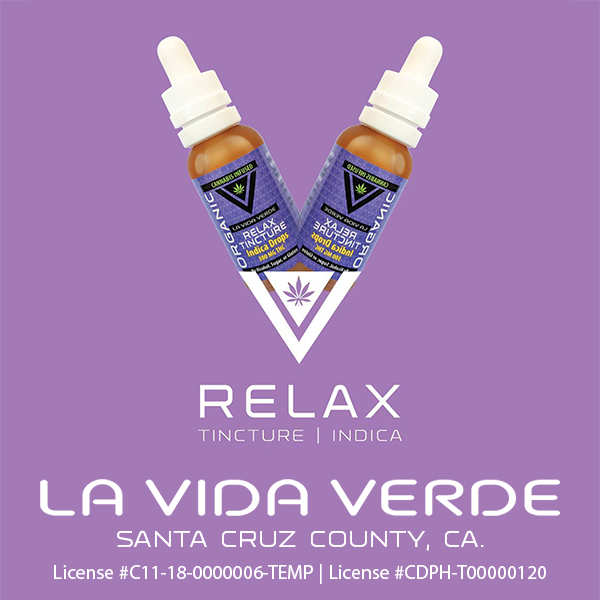 The Verge (November 8, 2018) Cannabis businesses and advocates are celebrating the forced resignation of famously anti-marijuana Attorney General Jeff Sessions. 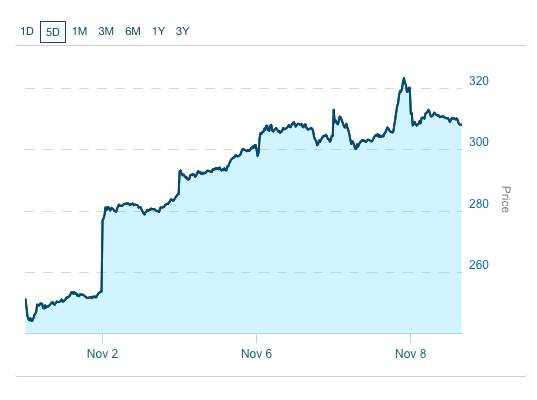 Stocks are up for marijuana companies, especially because Sessions’ ousting comes after three states voted to ease restrictions on the drug in this week’s midterm elections. The White House asked Sessions to resign yesterday for reasons completely unrelated to his marijuana policies. Nevertheless, the cannabis industry has already been impacted by the news. The Marijuana Index (November 7, 2018) Medical cannabis and recreational marijuana have been put in a very bright spotlight on Wednesday. The US midterm elections have brought new states online for medical, recreational, and decriminalization of marijuana. Michigan became the 10th state to legalize recreational pot sales to adults and the first to do so in the Midwest. Missouri and Utah approved medical marijuana initiatives, joining 31 other states that already allow prescription sales. The Motley Fool (November 7, 2018) Michigan, Oklahoma, Missouri, North Dakota, Ohio, Wisconsin and Utah all had cannabis initiatives appearing on local and statewide ballots in the midterm elections. Why do I think this is so important to know about? And since some experts have projected the American industry to skyrocket to as much as $50 billion by 2026, I think it’s time for investors to start paying attention. But until recently, it’s also an industry that we’ve stayed on the fence about. it’s a relatively new field… untested… unproven. Huffington Post (November 6, 2018) Four states are considering ballot proposals to legalize marijuana for medical or recreational use in this year’s midterm elections. It has already been a big year for legal weed. In January, California, the largest legal marijuana market in the U.S., opened its first recreational marijuana shops. That same month, Vermont became the ninth state in the nation ― and the first to do so through the state legislature rather than referendum ― to legalize recreational marijuana. Oklahoma became the 30th state to legalize marijuana for medical use in June. The Verge (November 6, 2018) States that have legalized medical marijuana draw upon a growing body of research. Studies have investigated whether marijuana can be helpful for conditions from nausea to pain to Parkinson’s disease and inflammatory bowel disease. Some results are encouraging, but in many cases, the evidence for health benefits is either not very strong or is quite limited. The 2016 election was a tipping point for marijuana legalization. This year’s midterm elections offered residents of Utah and Missouri the chance to legalize medical marijuana in their states. As marijuana legalization spreads, more and more companies will be like EndoCanna: based on some science but with claims that stretch beyond the conclusions of established research. Agricultural Digest (November 6, 2018) Since California voters passed a proposition to allow the use of medical marijuana in 1996, 30 more states and Washington, D.C., have followed suit. Of those, nine have also legalized it for recreational use. In October of this year, Canada became the second country to legalize recreational cannabis nationwide. (Uruguay did so in 2013.) And with its emergence from the shadows of the law, marijuana is getting a total makeover. Yahoo! Finance (November 7, 2018) While much of Tuesday’s elections focused on Congress and several states’ gubernatorial races, voters also weighed in on another contentious issue — marijuana. Michigan voters on Tuesday made the state the 10th in the U.S. — and the first in the Midwest — to legalize recreational marijuana. Voters in a second Midwest state, North Dakota, struck down a similar measure that would have legalized recreational use and expunged criminal records for prior marijuana offenders. New York Times (November 6, 2018) In September, a billboard appeared near downtown here urging voters to support Proposition 2, an initiative to legalize medical marijuana that is on the ballot Tuesday. Quoting from Mormon Church scripture and its “word of wisdom” about food and drink, the billboard read, “All Wholesome Herbs God Has Ordained for the Use of Man.” In other words, you can use pot for your medical ills and still be a good Mormon. But will Mormons listen? Leafly (November 6, 2018) Like oranges from Seville, beef from Alberta and wine from Tuscany, British Columbia is ubiquitous with one particular kind of produce: cannabis. Yes, BC Bud is a household name that’s renowned across the globe. From Amsterdam to Zurich the province’s product has gained a level of infamy within the cannabis community that no other region in the world can match.